Steven Hilton is a co-founder and President at MachNation, the leading insight services firm researching Internet of Things (IoT) middleware and platforms. His primary areas of expertise include competitive positioning, marketing media development, cloud services, small and medium businesses and sales channels. Steve has served on Cisco’s IoT World Forum Steering Committee where he was co-chairperson of the Service Provide and Security working groups. Steve has 25 years’ experience in technology and communications marketing. Prior to founding MachNation, he built and ran the IoT/M2M and Enterprise practice areas at Analysys Mason. He has also held senior positions at Yankee Group, Lucent Technologies, TDS (Telephone and Data Systems) and Cambridge Strategic Management Group. Steve is a frequent speaker at industry and client events, and publishes articles and blogs in several respected trade journals. He holds a degree in economics from the University of Chicago and a Master’s degree in marketing from Northwestern University’s Kellogg School of Management. The opinions expressed in this blog are those of Steven Hilton and do not necessarily represent those of IDG Communications, Inc., its parent, subsidiary or affiliated companies. Enterprises can’t make money on new IoT services unless they can capture data from and bill their customers for those services. There are 5 capabilities that enterprises require in their IoT monetization solutions. IoT alphabet soup: when should an enterprise use MQTT versus LWM2M? Enterprises need a way to ensure their IoT devices communicate to platforms and apps. Identifying when to use the popular MQTT or the newer LWM2M protocol will save enterprises time and money later. 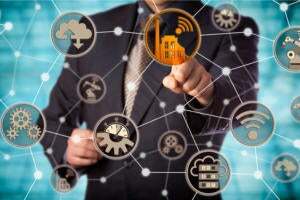 When bedazzled by IoT data management and analytics tools, don’t make the mistake of overlooking the importance and complexities of IoT device management. Relying on hands-on usability and functionality tests to understand IoT AEPs is the best way to differentiate the true capabilities of platforms on the market. Based on actual users' experience with IoT platforms, here are the leading features and functionalities potential users should be looking for.